almost 80°C to serve the fitness areas, spa, saunas or whatever.This is just an example of the several applications of the WWB, which can be used also without being combined with another heat pump. They can be used, again for example, to recover a portion of the heat available at low temperature (process industry or whatever), and to raise its temperature up to 80°C. 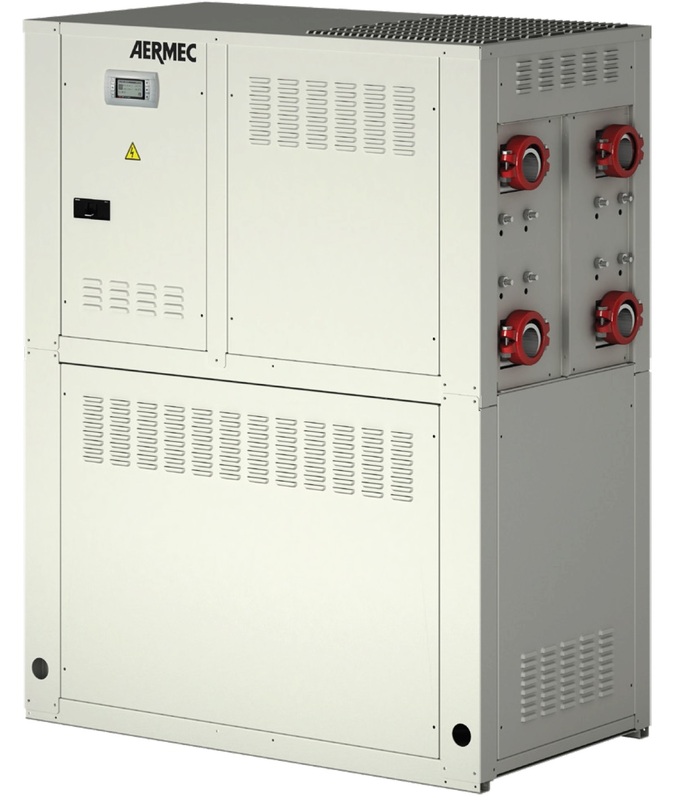 The WWB series is made up of eight sizes with heating capacity from 56 to 266 kW at nominal conditions (see the technical data sheet in attachment). The units come with R134a refrigerant and dedicated scroll compressors. All sizes have two compressors and two independent refrigerant circuits and are equipped with electronic thermostatic valves. The units are designed for indoor installation. They can be combined with any heat pump both air or water condensed. The maximum water inlet temperature at the evaporator is 45°C. All units are supplied in low noise version. The electrical power source of the units is 400V/3/50Hz and each unit can be produced with or without the Soft-start device for the reduction of the starting current. The WWB heat pumps are equipped with CAREL control panel, with display interface and direct access.